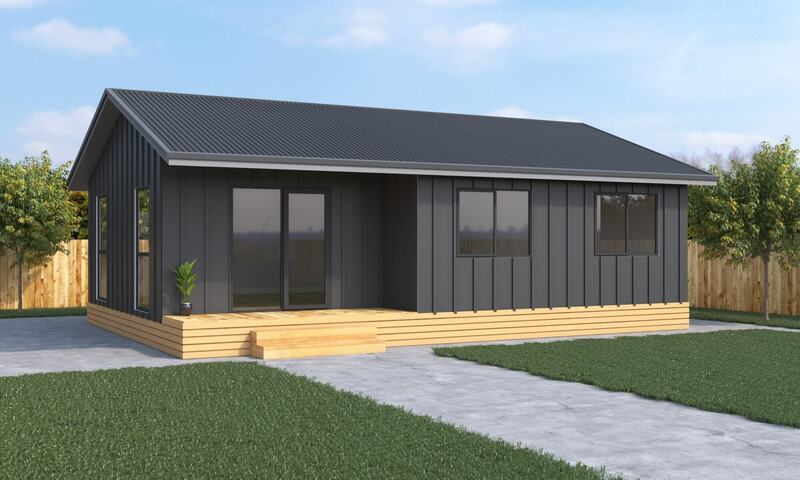 There has been a lot of news and comments in the media around prefab homes and Kiwi build, which is a part of the Government's affordable housing programme. The KiwiBuild scheme is looking to open the door to affordable residential housing in areas that need it the most. One of the major challenges to this is finding affordable building methods to keep the costs low, while ensuring the housing are of the highest build quality. The Government has already identified offsite housing construction (prefab) as the key to helping to achieve this and help the government to help it meet its goal of 100,000 new affordable homes over the next decade. Phil Twyford, the government's Housing Minister, has looked overseas to find examples of how homes can be built quickly and efficiently. "High tech manufacturing of homes, as is done in Europe and North America, could allow us to build KiwiBuild homes at scale and pace," he said in a statement. Mr Twyford also stated that he hopes for more than half of the 100,000 KiwiBuild homes to be built in off-site factories. Just because prefab homes are being used by government housing to deliver affordable and quick homes this doesn't mean that they are budget. Due to the cost efficiencies of a prefab home small, low cost housing can be made even cheaper thanks to prefab. But it also means large private homes can be built in shorter timeframes, or with some cost savings. You may be able to buy a large 4 bedroom prefabricated home for a similar price as a 3 bedroom home from a leading kitset home company. No matter whether you're a first home buyer looking to get on the property ladder, or wanting the best family home for your money a prefab home may give you more than you bargained for. As an example, the Huxley from Genius Homes occupies the high $200,000 price bracket and is a 4 bedroom home with ensuite, 3 large double bedrooms and family bathroom with bathtub. It has a kitchen island/breakfast bar and rear entry via laundry room. Even though this price doesn't include services to the house (plumbing, electric, waste etc) it does include GST and a great range of standard inclusions. The attraction works at the cost-conscious end of the scale too. The Oxford 2 sits close to $150,000, which isn't bad for a brand new 2 bedroom home! Separate laundry, toilet and family bathroom compliment the two double bedrooms to make this a perfect starter home, bach or granny flat to keep an elderly relative close by. These low costs aren't because of cheaper materials or slack building methods but are purely the result of a slick manufacturing process, controlled costs and efficiencies in volume building. Building indoors means there are no delays due to bad weather. This means budgets can be more tightly controlled as the builders know they'll be able to get to work and the job - in all but the very worst conditions. In some outside build projects rain can delay parts of the house being built, and if the timber frame is exposed to long periods of wet weather it can absorb this water which can effect council sign offs, which unfortunately means more delays. Building the home in a factory protects it from the elements and means a very set build process. The stages of the build can be very tightly controlled, with stations doing certain jobs at certain times. Being in a factory also means stocks of materials are easily accessible and stored. This reduces time off site buying materials and parts, or delays due to delivery or stock issues. Unlike some builders, who plan from job to job, a prefab home manufacturer can plan materials and logistics weeks ahead. This means materials are always ready and on site on time. A custom home built on site can be seen as a smaller project by suppliers so may not receive priority in deliver and attention. The supplier may also face difficulties getting to the site if you're in a tricky location. The rule of thumb for building is to set your budget then add 20% because projects, most of the time, will not account for unexpected costs. This can sneak in in many forms. From damaged building materials, bad weather delays with staff sitting around or a simple error between contractor teams. All you need to do is watch an episode of The Block to gauge just how unexpected building/renovating can really be. Unlike a traditional build, where delays could lead to weeks of disruption, a prefab home will be delivered on a set date. This means that if you're renting during the build process you can plan your accommodation needs accurately, and reduce unforeseen costs in rental or hotel accommodation while you wait for you house to be built. This helps achieve further savings, and reduces stress. From the 40mm EPS polystyrene insulation glued under floor, roof insulation R3.6 Pink Batts and wall insulation R2.6 Pink Batts to all external walls for insulation to the double glazed aluminium windows and hinged double glazed entry doors a Genius Homes house uses materials sure to give you a warm, dry home. You can view our full range of standard inclusions here to see what we mean! Despite the build process following a set process the design of your dream home can actually be very flexible. If you have a design in mind it's possible to adjust a prefab home design and make it unique. Having a bank of plans enables cost-conscious buyers to go with the quickest, easiest and cheapest design. Home owners looking for something more unique can tailor an existing design, or ask for a new one to be done based on their dream layout. The beauty of a prefab home is that the process can be applied to most home designs. And so long as it can still fit on the back of a truck (in many parts if necessary) then chances are a prefab home company like Genius Homes can deliver! 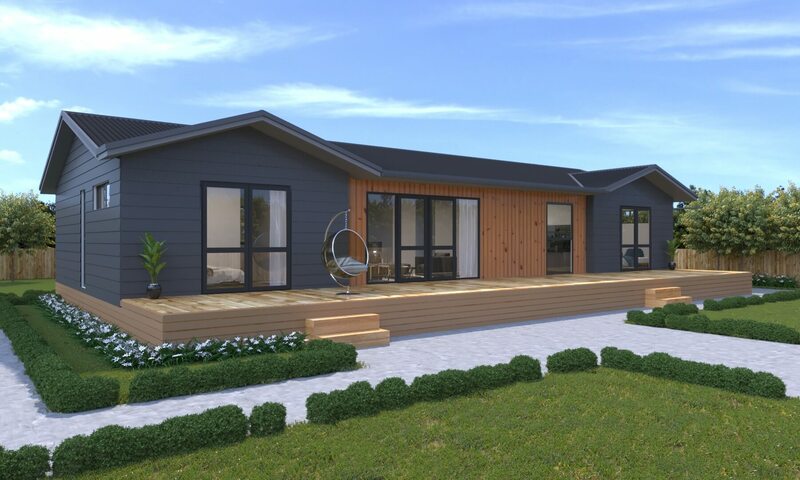 Prefabricated homes are well on their way to being the prefect solution for the New Zealand housing crisis. But all the reasons why the government loves the idea also places private residential buyers on the path for a bargain. Prefab delivers great value homes at a reasonable price. Which means you can splash out on a few upgrades or extras that may have been on the budget back-burner! Introducing the Genius Homes Fast Homes! Large Prefab Homes - when size really does matter!